“Zugzwang” – When Reid discovers that his girlfriend has been kidnapped by her stalker, he and the BAU team band together to find her before it’s too late, on CRIMINAL MINDS, Wednesday, Jan. 16 (9:00-10:00 PM, ET/PT) on the CBS Television Network. Michelle Trachtenberg guest stars as Diane, a genetics research assistant. This episode really had me every second. I was so connected ot the characters and the emotion portrayed. I have to admit I am not happy with the conclusion. 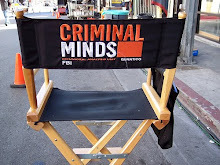 Ya know, thie show has been critised for being too graphic and in some cases glamourizing the grusome nature of some of the crimes played out in every day life, but brought back to life in the filming of criminal minds. Some say it is too much to watch just before bed, but I love this show. I knwo for the actors it is but a job, a career if you will, and as with my job, the day in a day out grind for them is as mine is, however, as an actor they create an alternate timeline and allow me the viewer to watch and be a oart of there lifes, fictious although they be. I must also add that as a devote fan and viewer, I (and I have to imagine many others), do not just watch for the crime and then the subsequent solution, but we watch to follow the characters we have grown to adore. Dr. Reed for one is a fan favorite, because at some level, I believe we are all abit "boy genious" and have encountered those ackward moments and trials and tribulations as he does with each episode. For Spencer to find a girlfriend was intriguing to watch, I rooted for him, and hoped his dreams to come true. I wonder the rationale of the writers on this one. I tossed and turned last night thinking about it, not because of the blood and gore, but rather the reason why. If that was the original intent, then bravo, the writers got me for sure. But I question whether this could have soun into a subplot of other elements to this cast of characters besides solving the most distrubing crimes on TV. I watch for Reed, and the rest of the gang and I beleive others do to. Something to think about I guess. really disappointing end, an easy out in my opinion. It was intriguing and exciting to see this sub plot grow. Oh well, maybe something else interesting will be cultivated on the show, hopefully before being cut short again. Sure hope she wakes up in the next episode, that ending makes me not want to watch anymore. So confused! Breen Frazier you did it again, well done, I must admit i wanted Reid to have a happy ending. You sure know how to pull at the heart strings, great writing, so emotional, will be interesting to see how Reid deals with this heartbreaking loss, especially as we know he was a mess when he thought Emily died. As sad as it was i enjoyed this episode, very little blood and gore, really liked seeing Hotch the leader again in this episode, and JJ Reid Morgan Rossi and Garcia great team work. I love your writing and Lauren is still my favourite episode of all CM episodes. Can't wait to see what you write next. Does anyone knows the name of the song at the end and who sings it? I'm sorry if you all think differently, but this entire episode was a disappointment for me, and left both me and my friend angry at the end. It is clear to me that they're setting up Reid for a fall, because Matthew will probably not sign with them next season. And if Reid must go, I say the best way to get him out would be to develop that schizophrenia plotline that they were talking about so many seasons ago. Reid would leave because he couldn't work full-time anymore, but could still have occasional appearances in a few episodes. But that's just for me. If that doesn't happen, but Matthew/Reid leaves, I won't be watching anymore. But, the best-case scenario would be that Matthew signs with them again. But, I'm not in control of anyone's actions. I can only sit and hope. For zenzan: no worries, MGG is already signed through next season. As to the episode, in my opinion it was well done all around, including the ending. It provides amazing dramatic potential for the whole team. Now it will be up to the writers to fulfill that potential. Writers? Okay...I broke down and bought the Criminal Minds episode "Zugzwang" from iTunes and watched it......all I can say is that like the episode "100" it is one that will make you cry each time you watch it. I really hope the people at CBS and the Emmys take notice and give the show the credit it so rightly deserves. I know that I am only a single small voice but I have been a fan of this show since season 1 and I am really tired of the show, staff and actors constantly getting overlooked. I loved since the very begining to the end, it's an amazing episode (from script to the acting) they show us a different side of Reid and the team, the end prob wasn't the end i expected but it's a good end, maybe we all wanted a happy ending for Reid but that was the perfect end for the episode, if the girl survived then all the drama and the emotional thing about this episode wouldn't exist.